Hotel Transylvania 3: Summer Vacation (film, 2018). 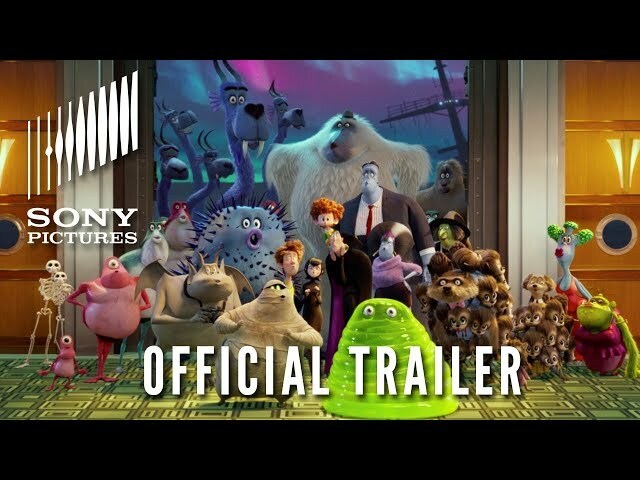 A 2018 American computer-animated comedy film with "PG" rating by Sony Pictures Releasing/Columbia Pictures. Directed by Genndy Tartakovsky. Official Trailer. Hotel Transylvania 3: Summer Vacation is a 2018 American computer-animated comedy film directed by Genndy Tartakovsky. 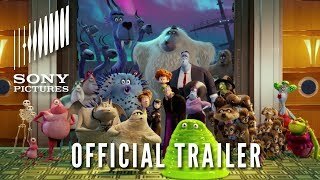 HOTEL TRANSYLVANIA 3: SUMMER VACATION - Official Trailer (HD). In 1897, Dracula and his friends travel in disguise on a train to Budapest. Professor Abraham Van Helsing, Dracula's arch-enemy, boards the train and unveils the monsters; the monsters escape by climbing through the roof, and Dracula pushes his friends from the train for their safety. Van Helsing is obsessed with destroying Dracula but is constantly outsmarted by him. In the present day, Dracula is running his hotel business smoothly, with his daughter Mavis and son-in-law Johnny. Drac is depressed that he has remained single since his wife Martha's death despite his attempts to meet someone. Misinterpreting this as stress from overwork, Mavis books a cruise so they can all take a break and spend more time together as a family. 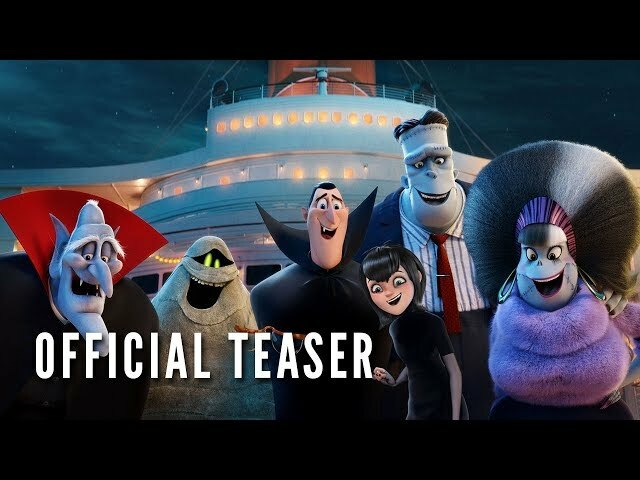 Dracula, Mavis, Johnny, Dennis, Vlad, and the hotel guests board a cruise ship called the Legacy. Dracula sees the ship's human captain, Ericka, and immediately falls for her, something that he thought was impossible as he had already "zinged" before. Ericka goes to a secret room on the lower decks where she meets Abraham Van Helsing, who is revealed to be her great-grandfather and is almost completely mechanised, to avoid death. Van Helsing has a plan to eliminate all the monsters, in the cruise upon its arrival at the lost city of Atlantis using an Instrument of Destruction, which could be found in Atlantis' ruins. Van Helsing makes Ericka promise to not assassinate Dracula beforehand, but she makes repeated unsuccessful attempts. Dracula's friends hear Ericka complain about her inability to get him and misinterpret this as a sign of affection. Dracula nervously asks Ericka out on a date, and she accepts since she sees this as another chance to kill him. As they dine on a deserted island, Ericka unexpectedly begins to fall in love with Drac, after they learn about each other's pasts. The film Hotel Transylvania 3: Summer Vacation was scheduled to be released by Sony Pictures Releasing and Columbia Pictures on June 13, 2018 (AIAFF, Annecy International Animated Film Festival), on June 14, 2018 (New Zealand), on June 28, 2018 (Australia), on July 12, 2018 (Argentina, Brazil, Czech Republic, Denmark, Greece, Hungary, Cambodia, Russia, Saudi Arabia, Singapore, Slovakia, Ukraine), on July 13, 2018 (United States, Estonia, Spain, Finland, Sri Lanka, Lithuania, Norway, Pakistan, Sweden, Turkey, Vietnam), on July 16, 2018 (Germany), on July 25, 2018 (France, Netherlands), on July 26, 2018 (Portugal), on July 27, 2018 (United Kingdom), on August 16, 2018 (Hong Kong), on August 22, 2018 (Italy), on August 29, 2018 (Philippines), on August 31, 2018 (South Africa) and on October 12, 2018 (Poland). The duration of the film is 97 minutes. With a budget of $80 million, the film grossed over $528.1 million. Hotel Transylvania 3: Summer Vacation got high rating from critics. But the audience dislikes the film. Audiences polled by CinemaScore gave the film an average grade of "A-" on a scale ranging from A+ to F.